With the expressed interest of United States of America (USA referred as US)to participate in direct talks with Taliban, which is a remarkable shift in US policy, there is new hope and possibility of the Afghan Government joined by key partners including USto start peace negotiation with Taliban. Taliban were overthrown in 2001 and since then, the Afghan Government supported by international forces has been at loggerheads with them for seventeen years. Whenever offers were made to Taliban for peace talks, at least since 2015, they insisted to hold talks with US directly, not with the Afghan Government. Consistently, they have been insisting on the withdrawal of foreign forces and the Secretary of State, Pompeo has already said that, ‘the US is ready to discuss the role of international forces’. Continued fighting and insurgency in the country has taken heavy toll of all sides and fractured Afghan society and its infrastructure. Afghan Government and Talibanshould not miss this opportunity, so that the people of Afghanistan can be at peace. From 2001 to June 2017, the US alone spent $74 billion on newly established armed forces and police. In addition to US efforts, other international partners also incurred heavy expenditure.Now armed forces are capable of defending the nation and safeguarding people. But, Taliban are also skillful of penetrating into the country’s securityto continue their activities of insurgent attacks. They are emboldened and capable of striking even at vital installations including the Ministry of Interior. Any number of security belts, safety cordons, heavily fortified T wall systems and national and international condemnations have not deterred them to attempt to carry out their attacks except forcing them to change tactics and engaging with security forces before reaching the target. General Nicholson, the Commander of US forces in Afghanistan, made the announcement that the move was intended to bring the Afghan government and the Taliban closer and culminate in formal peace negotiations to end the long-running war.International Crisis Group has expressed that, ‘…..wider peace deal, likely including national and local power-sharing arrangements, security sector reform and a process for rewriting the Afghan constitution’. Both, the Afghan government and the Taliban are too divergent in their political philosophies, governance models and policing cultures. The real challenge will be to negotiate a common path to usher the country towards peace, security and development. Sustainable peace, whose kick off largely dependson the security institutions, can only ensure institutionalization of governance structures and uninterrupted economic activities. During the Taliban regime of 1995 – 2001, their governance was rudimentary and fundamentalist. It was a Pashtun dominated government. Some of the salient features of their political philosophy and governance are summarized as follows. They had direct control over urban areas and major roads and left rural areas for the local leaders to control. They made efforts to impose a strict interpretation of sharia across the country. Ministers and deputies were mullahs with madarasa education. The decision makers avoided talking to non-muslim foreigners. Employment of women was forbidden except in few areas. Girl education was restricted. Women were ordered to be in burqa, not to travel alone and always accompanied by a marham or a blood relative. All senior non-Pashtun officials were replaced. General elections are incompatible with Sharia and therefore they did not believe in political parties and elections. Mullah Omar, as Amir al Mu’minin was the highest authority, not the head of state and all decisions were based on his advise. There is not much known of their policing doctrine but it is clear that the police was driven by religious needs and it was oriented towardssocial and religious controls adhering to sharia. It was a fundamental Islamic theological state with all police personnel in beard. One resident of Kabul recalls, ‘Taliban were very clear and serious in policing. They had several branches with separate line of command. They had internal policing through ‘secret police’ to gather people perspective on their governance and to keep check on senior government officials and others for their conduct and honesty and threats to their regime. There was a Department of Vice and Promotion of Virtues to enforce religious norms on all. They were serious in implementing directions/orders. They would not leave for regular meals unless they finish assigned work. Their justice delivery was quick and they followed deterrence and fear model where sentences were executed in public.’ Another resident says that he was detained in police station till he got fist-length beard and his father was ordered to deliver food to him. Their policing was extremely harsh and it was in gross violations of universally accepted principles of human rights and international obligations of Afghanistan. After seventeen years of freedom and liberty in the country, on account of inability to cope up with public expectations and lack of efficient and effective policing, some Afghans reflect upon and claim that the Taliban system was better: no theft, no corruption and minimum needs. The present Afghanistan is a multi ethnic Islamic modern state: a democratic state with presidential form of governance following the constitutionalism through institutional and functional structures. Criminal justice system follows the principles of rehabilitative and correctional theories of justice. Constitution of Afghanistan and Afghan Police Law empower the police to maintain order, discover crimes and support Attorney General in crimes investigations. Within these constitutional and legal frameworks, Afghan police is conceptualized but the process of its development and institutionalization is still continuing. Taliban claim that presently they are not a group but they are the government of Islamic Emirate of Afghanistan. Their governance has been providing secure and just Islamic governance in areas of their control and they have capacity of good governance delivering services including public services, welfare and justice and security. They also engage at the international level. They counter UNAMA reports on civilian casualties describing them as ‘one sided’ and release their own versions. 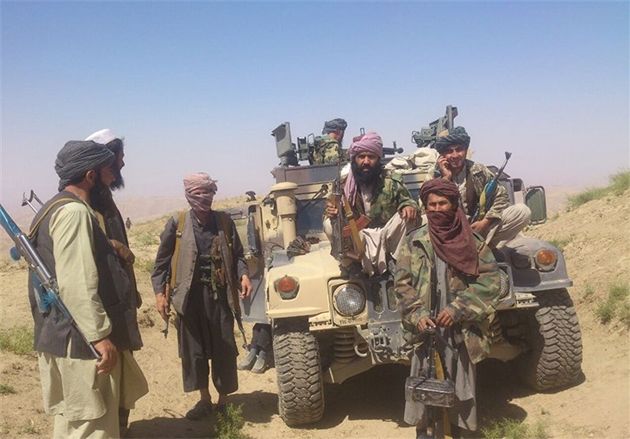 Mostly, armed Taliban are bearded with no uniform. They are well trained and heavily armed. This shows as self-claimed that Taliban have changed their governance model. But, still there are contrasts. Whenever a peace deal is negotiated and signed then in the last it hinges on power sharing, integrations of forces, militia and supporters, disarmament, demobilization and rehabilitation programs and accountability mechanisms through criminal justice system. The same may be expected in Afghanistan. It happened in many countries where peace deals were signed, including in Rwanda, Angola and South Sudan. Police in Afghanistan is already under transformation stage where efforts are undergoing to restructure, reform and professionalize. It has not developed and imbibed its core philosophy as a law enforcementprofessional police institution, as it has become a de-facto extension of military for counter insurgency operations. Divergences are more than convergences between these two policing cultures. Power sharing and possibly, integration of several thousands of Taliban supporters with divergent mindsetsmay necessitate Afghan National Police and Ministry of Interior to face more structural and operational challenges. Policing doctrine has to be adapted to new realities and policing reformmay get more perplexed, confused, derailed or delayed unless all aspects are agreed upon.The process could be smoothened and the confusions could be avoided, if the Ministry starts conceptualizing the post negotiation policing and embarks upon developing its strategy to lead negotiations on core aspects of policing and police structure.